According to Google webmaster policy you must Eliminate the Java script above the fold.Because large size of java script increases the loading time of your page and cause the user to leave your site.In other words it block your content until the whole script will be loaded.Mostly this problem occurs when if you are using third party ads program or your own special function code like Most popular Jquery scripts.It will cause problem to your visitor who have slow dial-up connection or mobile user.You must be careful for your visitor.That is why tried to eliminate big Scripts as possible as. Some time it is not possible because we care about our website design and that is why there are always few jquery files in above </head> tag.It facilitate the use experience like recent post,Jquery social share etc. And that are the scripts that may slow down your Page Speed and Of-course it may affects your on page SEO. Probably you might think about why not put that script somewhere else like under footer.But that's not smart idea .Still your page webpage noticed by search engine as SLOW. If its not possible to remove some Java scripts then it should be in lined.Inlined java script cause the web-browser to first Load your content and then download your script.You can inline some small script for better result. 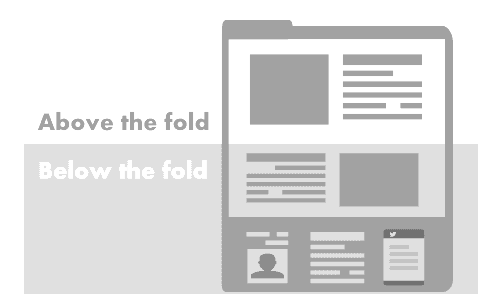 This will cause the Browser to render Above-the-fold content first. Inline java script still not good idea for large scripts with having size of 20KB or above.So the another solution which is given by google that below code must be added in your HTML just before </Body> tag. This cause block your external script until your content is loaded in other words it creates little delay to load it.You can use it by just copy that code replace "Example.js" with your java script name and place it before </body>. I loved your post. It was really helpful in fixing the issues in my website. But, I would have been much happier if you would've posted eliminate rendering blocking JS in details. Kindly give me your feedback if this could be followed?